Human blood contains stem cells and autologous blood products that contain essential and specific growth factors that assist in tissue regeneration and healing. It has been used as a medical adjunct therapy for over two decades for skin and wound healing. PRP therapy has established itself to be effective as a medical treatment modality in the specialty fields of oral surgery, neurosurgery, plastic and cosmetic surgery, sports medicine and orthopedics. It has been used extensively in these specialties for the last twenty years with generally positive outcomes and success. In the field of hair restoration, evidence supports PRP therapy as a promising treatment option to promote hair growth. While PRP is in the early stages of scientific research in hair restoration, PRP is not meant to replace current FDA approved therapies such as DHT blockers and Minoxidil. But it is a promising non-surgical therapeutic option for those patients with hair loss. Blood is drawn in our office as though you are having routine blood testing at your primary care physician’s office. The blood is spun in a centrifuge and the PRP is separated and removed from the rest of the blood. It is a closed sterile system and the platelets are concentrated to 3X the normal blood values. The system eliminates granulocytes which hurts tissue regeneration and wound healing. An anesthesia block is given to nerves of the scalp so the patient does not feel any pain. The highly concentrated platelet rich plasma (PRP) is then injected into the scalp. PRP contains many growth factors that stimulate the hair follicle’s growth. PRP can be used preoperatively, intraoperatively, or post operatively. We recommend clients to have PRP Hair Restoration performed every three (3) to four (4) months in the beginning stages. Once results are achieved then semiannual to annual treatment to maintain healthy and continual follicle growth. 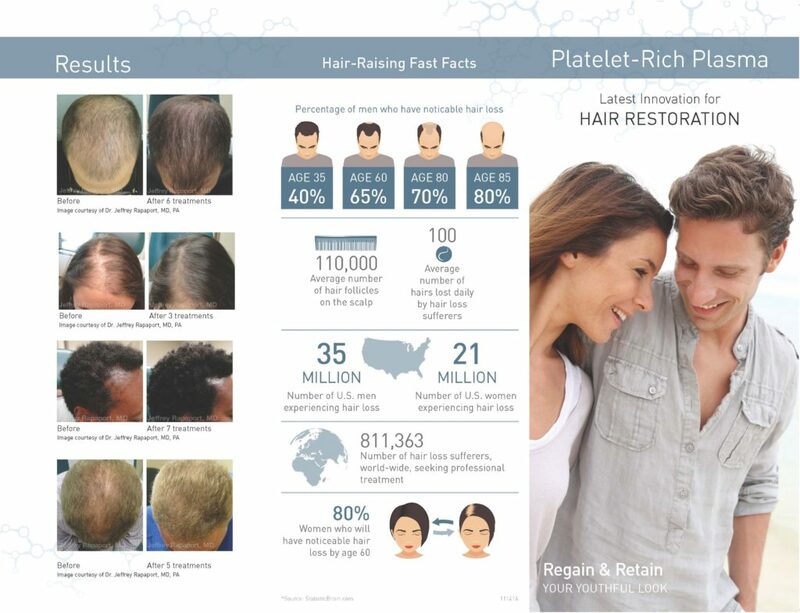 PRP contains special cells called Platelets, that can theoretically cause growth of the hair follicles by stimulating the stem cells and other cells in the microenvironment of the hair follicle. These special Platelet cells promote healing, accelerates the rate and degree of tissue healing and regeneration, responds to injury, and formation of new cellular growth. The primary purpose of using PRP in hair restoration is to stimulate hair follicles into an active growth phase. Individual results vary with each patient. No guarantees of success can be made but PRP preliminary studies indicate patients can respond to PRP therapy. PRP is a potential emerging non-surgical based therapy for natural hair follicle stimulation for thinning hair. Larger clinical studies are pending but the current medical literature contains numerous optimistic results. Although a few controlled studies exist, anecdotal and case reports are the primary sources reflecting success with PRP therapy. Clients with history of heavy smoking, drug and alcohol use. Medical diagnosis such as platelet dysfunction syndromes, thrombocytopenias, hypofibrinogenaemia, hemodynamic instability, sepsis, acute and chronic Infections, chronic liver disease, anti-coagulation therapy, chronic skin diseases or cancer. PRP has been used successfully in other medical and surgical disciplines for many years. The decision to use PRP is a personal decision and should be made after careful research, consideration and consultatio. PRP is safe and natural because the procedure concentrates the good cells from your scalp and injects them directly back into the area where it is needed. There is absolutely no chance of getting a blood infection from another human being. PRP involves using your own cells that are not modified or changed, and it will not be rejected by your immune system. Extensive clinical trials are not complete and medical data is not yet published to establish the absolute effectiveness of PRP therapy in hair restoration. PRP should not be considered a “cure” for hair loss and no guarantee can be made about its individual effectiveness. No claim of PRP efficacy in promoting hair growth can be made because there is no FDA approval that would allow such claims to be made. Absolutely. In fact, we encourage it and prescribe PRP therapy as a compliment to a nonsurgical approach for those patients who are not eligible for surgery or who want to delay hair restoration surgery. 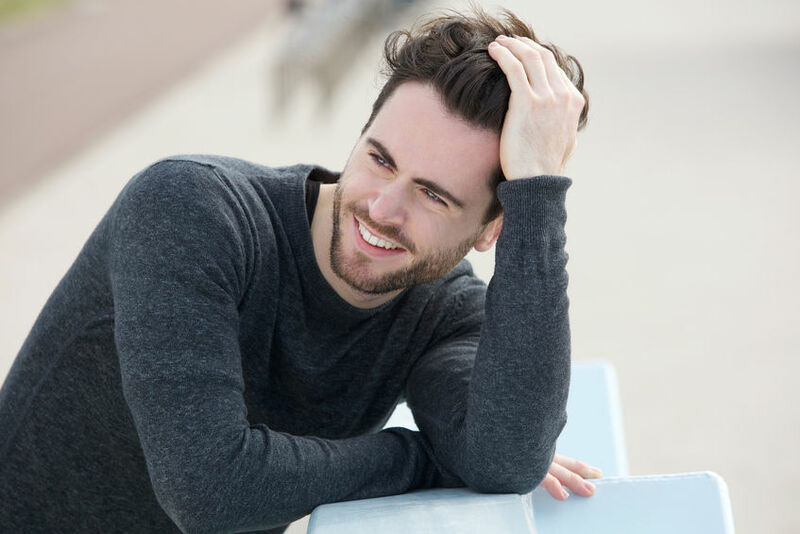 As a non-surgical treatment option, we recommend PRP therapy along with Minoxidil.